Are you in? Ready to connect with the colleagues and peers from around the world who can answer your questions, brainstorm on solutions, and advance your operation and your career? Ready to find the products, services, and new technologies to catapult your business to the next level? Ready for innovative and energizing general sessions (including an amazing keynote that’ll bring the fuzzy future into focus), GameChangers, and dozens of sessions on everything from smart cities to curb management to ADA regulations and management to human resources and beyond? And are you ready to have fun? The 2019 IPMI Conference & Expo is just weeks away and if you haven’t already, it’s time to make your plans! 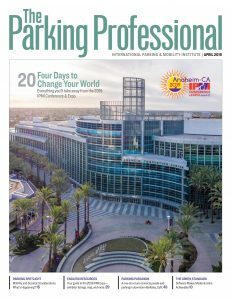 We’ve got all the details in this month’s The Parking Professional magazine–click here to read all about it. 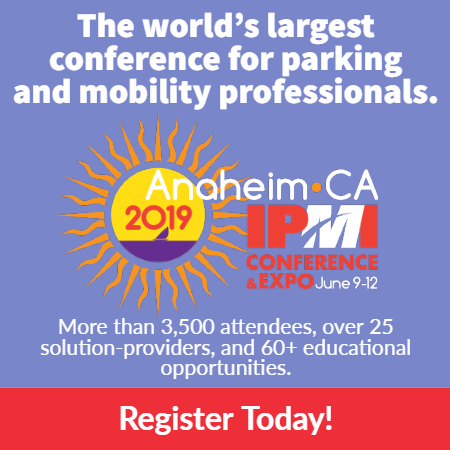 Then go to the Conference website to register and get hotel details, and after that, visit the App Store or Google Play to download the IPMI2019 app and really kick things into high gear–use password Anaheim19IPMI. Wheels almost up! It’s going to be amazing.